Three open-spec SBCs have been launched on Indiegogo. 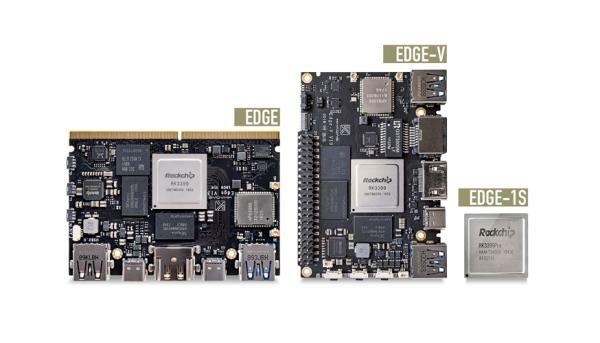 They are the RK3399-based Khadas Edge SBC, a new Edge-1S model that uses the AI-enhanced RK3399Pro SoC and an Edge-V model that replaces the Edge’s MXM3 connector with 40-pin GPIO and adds MIPI-DSI and -CSI. Shenzhen Wesion’s Khadas project exhibited the Khadas Edge SBC in July, which runs Linux or Android on Rockchip’s hexa-core RK3399 SoC. Now Khadas is in business with Indiegogo with a $50K flexible funding campaign for the Khadas Edge and two new models. The Edge-V version has a similar footprint to the Amlogic based Khadas Vim and Khadas Vim2. There’s also an Edge-1S model that runs on Rockchip’s new neural chip enhanced RK3399Pro SoC. The Khadas Edge-V is built for general purpose hacking and home theater applications. The Edge and Edge-1S are designed for professional embedded development and deployment, like applications for computer clusters, drones, and augmented reality gear. Initial packages for the Khadas Edge and Khadas Edge-V are of similar price and includes a free accessory bundle. The Edge initial package gives you a free Edge IO debugging daughter-card and Edge heatsink while the Edge-V package offers a free Khadas Vim-style heatsink. Other extra-cost accessories include a $9 bundle that gives you a heatsink and an Edge IO daughter-board, which enables serial debug and easier GPIO expansion. Other accessories include a fan with USB-C adapter ($14), a camera with LiPo battery ($19), and the Khadas Captain carrier board option, which is designed primarily for gaming console configurations. The Captain Carrier costs $39 with a free, 5-inch, HD multitouch screen, and seems to work only with the MXM3-equipped Edge and Edge-1S models, not the Edge-V. The Edge Basic and Edge-V Basic are available for $99 with 2GB LPDDR4 and 16GB eMMC 5.1. There’s also a Pro (4GB/32GB) model for $149 and a Max version (4GB/128GB) for $199. Once the initial packages. are exhausted, the price remains the same, but without the free accessories. An experimental version of the AI-enhanced Edge-1S model is available for $299 and includes free Edge IO and Captain Carrier boards, a 24W USB Type-C adapter, and a 3705 Cooling Fan. This “high risk” board is set to ship in January just like the other models, but only if the campaign reaches $200,000, if not it will be delayed. Another stretch goal ($350K) is for a NextC Case, and if the campaign reaches $500K, Khadas will give away the NextC case free with every Edge and Edge-1S, and offer a free DIY Case for the Edge-V. 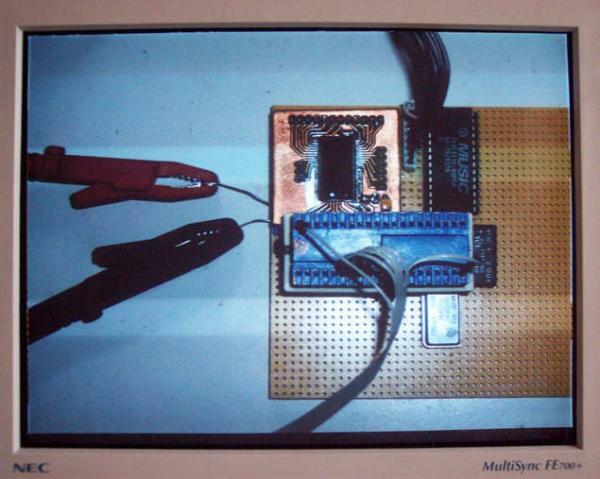 The Edge boards will ship with schematics and other open source files just like the Khadas Vim boards.